A girl whose self-worth revolves around masculinity, a bartender who loses her sense of safety, a woman who compares men to plants, and a boy who shoots his cranked-out father. 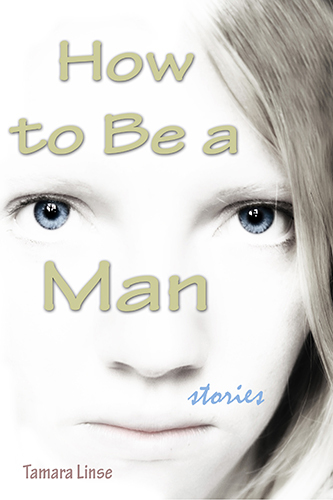 These are a few of the hard-scrabble characters in Tamara Linse’s debut short story collection, How to Be a Man. Set in contemporary Wyoming—the myth of the West taking its toll—these stories reveal the lives of tough-minded girls and boys, self-reliant women and men, struggling to break out of their lonely lives and the emotional havoc of their families to make a connection, to build a life despite the odds. How to Be a Man falls within the traditions of Maile Meloy, Tom McGuane, and Annie Proulx. The author Tamara Linse—writer, cogitator, recovering ranch girl—broke her collarbone when she was three, her leg when she was four, a horse when she was twelve, and her heart ever since. Raised on a ranch in northern Wyoming, she earned her master’s in English from the University of Wyoming, where she taught writing. Her work appears in the Georgetown Review, South Dakota Review, and Talking River, among others, and she was a finalist for an Arts & Letters and Glimmer Train contests, as well as the Black Lawrence Press Hudson Prize for a book of short stories. She works as an editor for a foundation and a freelancer. Find her online at tamaralinse.com and tamara-linse.blogspot.com. To contact Willow Words, email editors@willowwords.com.